Editor’s Note: Modern data center environments are facing critical challenges resulting from technology trends like IoT, big data, and cloud/hybrid environments. Today’s data center managers need to adapt themselves and their data centers in this age of digital transformation, or risk irrelevance. That’s why we were interested in “IDC's Datacenter Facilities Infrastructure Management and Operations Special Study,” a special report published by global analyst firm IDC and sponsored by our partner Raritan®. Led by Jennifer Cooke, IDC Research Director, Datacenter Management, the report highlights not only the challenges facing organizations today but also the tactics and technologies that modern data center managers are using to proactively address their most common digital transformation issues and achieve business success. Data Center Infrastructure Management (DCIM) software and data center monitoring tools, when combined with intelligent rack PDUs, can greatly enhance data center managers’ ability to execute their digital transformation strategies. The following is a guest post originally published on June 6 by Raritan. Data centers that employ smart infrastructures and dynamic infrastructure management tools experience fewer problems and security breaches, according to a recent special study conducted by global research firm IDC and sponsored in part by Raritan®. IDC reached out to almost 400 data center professionals to gain a comprehensive look at current data center management practices. The respondents – ranging from CTO to facilities manager – represent the views of enterprises (72.6%), service providers (22.6%) and colo providers (4.8%). Organizations that are using dynamic infrastructure management solutions experienced fewer problems with data security breaches, physical security breaches, and running out of IP addresses. Use of dynamic management tools linked to fewer regulatory/compliance fines – Data centers that use a dynamic infrastructure management solution are less likely to be fined for regulatory or compliance issues than those that do not. Sixty-three percent of the respondents said that they use DCIM and listed energy consumption reporting and environmental reporting among the most important DCIM features. The top features in order of importance are: “Reporting and Analytics”, “Real-time Reporting on Environmental Conditions,” “Energy Management” and “Real-time reporting of energy consumption.” Although 60+ % respondents indicated that they use DCIM, many use other methods of managing infrastructure at the same time (Excel being the most common). IDC believes that DCIM implementations to date have supported better inventory control, audit, and management and that the next phase of DCIM maturity will include integrations to streamline service and workflow in the data center. When this happens, common issues such as downtime due to human error (which is consistently a top issue in data centers) could be positively impacted by DCIM adoption. 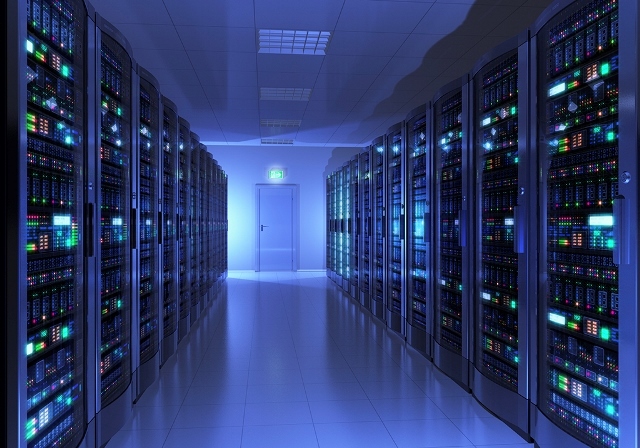 Converged IT architectures put greater demands on datacenters. Organizations are adopting new technology with the goal of speeding the time to deploy new applications, but according to this study, 83.9% of respondents said that the new technology required a retrofit of power infrastructure, and 29.3% of respondents said they experienced delays in deployment because they were not able to accommodate the new technology. The very problem that organizations are trying to solve — reducing the amount of time it takes to innovate and deploy new workloads — is actually made worse because of their failure to accurately assess and plan for the power and cooling resources needed. Overcoming this challenge will require greater focus on more holistic capacity planning activities, which can be addressed through investment in new processes and leveraging data from more intelligent infrastructure. More than ever, IDC believes that investment in smarter data center resources is integral to delivering IT service at the speed that business needs to innovate. “The IDC research results confirm what we hear from our customers. Data centers best equipped to support business innovation and digital transformation are those that have real-time and complete visibility into operations by using smart infrastructures – such as our intelligent power solutions, Xerus Technology platform and Data Center Infrastructure Management Software,” says David Wood, Director of Raritan’s Power Business. Click here to view more IDC insights on the future of smart data centers. Want to hear more from Jennifer Cooke about how you can adapt and futureproof yourself and your data centers to tackle the challenges of digital transformation? Join us for Sunbird’s next live webinar, 5 Keys to Developing a Service-Driven Datacenter, on Wednesday, June 21, at 2 PM ET. Jennifer will present IDC research that highlights notable digital transformation trends and analysis relevant to addressing your data center challenges.